Home / Opinion / Veteran columnist calls Pimentel "Koko de Bola", RED (pro-Duterte) on the outside but totally Yellow (pro-Aquino) on the inside! Veteran columnist calls Pimentel "Koko de Bola", RED (pro-Duterte) on the outside but totally Yellow (pro-Aquino) on the inside! 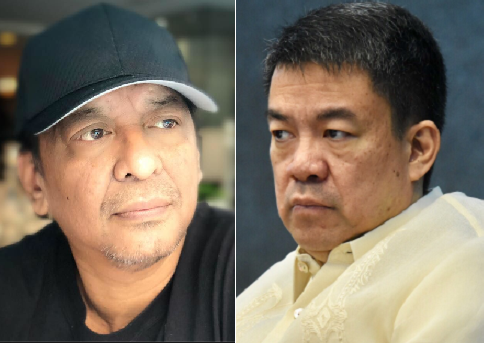 Veteran writer, editor and columnist, Jojo Robles, on Friday, August 10, 2018, wrote a very striking opinion about Senator Aquilino “Koko” Pimentel III and the latter's controversial issues been facing recently. In his column on one of the top news media outfits and newspaper in the Philippines, The Manila Times, Robles talked about the people's alleged anger over Pimentel's practically closing down the testimony of anti-election fraud radical Glenn Chong, amid the hearings being led by the senator’s committee on electoral reform, reason why people are now making threats about paying back at him by not voting in favor of him in the next elections. Robles then suggested that people should not worry themselves a lot over voting for Pimentel because as per lawyer Ferdinand Topacio, the former senate president may not even make it on the poll as a candidate in the May 2019 midterm elections, on the grounds that he is not fit the bill to run any longer, having just achieved the legal limit of serving two consecutive terms in the Senate. The veteran columnist also discussed all the reasons why Topacio thinks that Pimentel is indeed no longer qualified a senate seat in 2019 and persuaded that there is essentially no chance that Pimentel will be permitted to run. Likewise, Robles put an emphasis on Koko Pimentel's true political side, which according to him have been questioned from the minute he was introduced as Senate President to the administration of President Rodrigo Duterte in 2016. Robles then made a huge revelation for saying that the truth is while Pimentel might be apparently the leader of President Duterte's PDP-Laban party, he has dependably been seen as an undercover agent of former President Noynoy Aquino, thus, has been distinctly depicted like a "Queso de bola,", red (pro-Duterte) on the outside, yet thoroughly Yellow (pro-Aquino) on the inside. 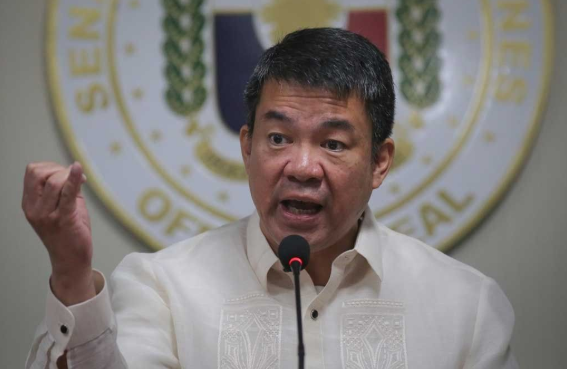 "REGARDING Sen. Aquilino “Koko” Pimentel 3rd, much anger has been expressed about his virtually shutting down the testimony of anti-election fraud crusader Glenn Chong during the hearings being conducted by the senator’s committee on electoral reform. I don’t think people should stress themselves out too much over Koko, however, by making dark threats about getting back at him by not voting for him in the next elections. According to lawyer Ferdinand Topacio, Pimentel may not even make it on the ballot as a candidate in the May 2019 midterm elections. This is because, Topacio says, Koko is not qualified to run anymore next year, having already reached the legal limit of serving two consecutive terms in the Senate when his current term ends. Topacio argues that for Pimentel to be allowed to run again next year, he should not have filed a protest and served out the remainder of the term of Sen. Juan Miguel Zubiri beginning in 2011, when the latter resigned from the Senate amid allegations of massive cheating in the 2007 polls in Maguindanao province. Pimentel filed that protest with the Senate Electoral Tribunal right after the election, when the Commission on Elections proclaimed Zubiri the winner of the 12th and last Senate seat. Topacio’s theory is simple: If Pimentel served what remained of his first term from 2011 to 2013 and was reelected to a second consecutive six-year term beginning in 2013 and ending next year, he can no longer run for reelection. But Pimentel, who has been telling everyone that he is running for reelection to the Senate next year, obviously has a different opinion. What Pimentel’s basis for saying so has not been made clear by the senator. I tend to agree with Topacio when he says that Pimentel’s protest against Zubiri is premised on the fact that he won the last contested seat in 2007. And when the SET agreed with him and overturned Zubiri’s victory, then Pimentel began serving his first (if abbreviated) term as a senator. There is simply no legal precedent to back up Pimentel’s claim that he can run again next year. About the only election cases that marginally touch on the matter involves two presidents, who by law can only serve one six-year term, and not any senator or any other elected official of lower rank. For instance, Gloria Macapagal Arroyo’s decision to run for president in 2004 is based on her claim that she was actually running for her first term, since she only succeeded Joseph Estrada and served the remainder of his term beginning in 2001. And Estrada himself, who ran for the presidency again in 2010 against Noynoy Aquino was not at all questioned legally, Topacio said, since at the time Erap was not given a ghost of a chance against Aquino by the voters — who had relegated Estrada to the status of a nuisance candidate even if he eventually placed second in the race. The decision of the SET upholding Pimentel’s victory appears to be crucial here. When Zubiri resigned, he also withdrew his counter-protest against Pimentel, which paved the way for the tribunal to declare Koko the real winner of the 12th seat in 2007. In other words, Pimentel did not merely succeed Zubiri. Koko was proclaimed the winner, which meant that he was actually serving the remainder of his — not Zubiri’s — term. I talked to Topacio yesterday and he promised to question Pimentel’s bid for reelection next year before the Supreme Court the moment the senator files his certificate of candidacy. While there is no jurisprudence yet on the matter of a senator seeking reelection after serving more than two terms consecutively, Topacio is convinced that there is simply no way that Pimentel will be allowed to run. I think it’s just as well if Pimentel is prevented from running for senator next year by the courts. At the very least, it will save him the bother of having to declare his true political leanings, which have been questioned from the moment he was installed as Senate president upon the assumption to the presidency of Rodrigo Duterte in 2016. The truth is, while Pimentel may be nominally the head of Duterte’s PDP-Laban party, he has always been perceived as an undercover agent of Aquino. His most memorable “achievement” in his first Senate stint (by Topacio’s reckoning, of course), to my mind, was his participation in the Aquino administration’s campaign to destroy Vice President Jejomar Binay, together with his colleagues Antonio Trillanes 4th and Alan Peter Cayetano. During his short, forgettable presidency of the Senate, Pimentel drew a lot of flak for allowing Trillanes, Sen. Leila de Lima (before she was jailed) and other opposition lawmakers in his chamber unprecedented leeway in criticizing the Duterte administration and of sitting on complaints against them before the ethics committee. Pimentel, who is a Mindanao native like Duterte apart from sharing the president’s party affiliation, has been pointedly described as a “queso de bola,” that traditional Christmas cheese that is red (pro-Duterte) on the outside but totally Yellow (pro-Aquino) on the inside. In fact, Pimentel’s ouster in a clinical Senate coup that also installed Sen. Vicente “Tito” Sotto 3rd as his replacement was seen as proof of the dissatisfaction over his leadership of the chamber and a direct result of the wishy-washiness of his political loyalties. Pimentel’s widely criticized gagging of Chong, who was invited as a resource person to the Senate after Sotto himself delivered two scathing privilege speeches about massive fraud in the 2016 elections, did not improve Koko’s image any. I hope Pimentel files his certificate by the October deadline, in order to test his belief about his supposed eligibility to run again. Until then, I will not waste any more energy calling for vengeance against him in an election where he isn’t even a candidate."